Welcome to our blog! In this section of the website, we will periodically post articles and other information regarding the services we offer here at North Shore Oral & Maxillofacial Surgery. In this initial post, we would like to introduce ourselves. If you have any questions about our practice, please feel free to contact our office at any time. We would love to hear from you! 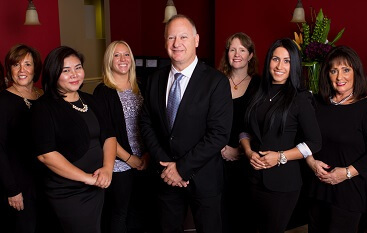 Dr. Scott Frank and his talented, dedicated team enjoy serving the people of Buffalo Grove, IL and the surrounding communities. We provide high-quality, comfortable oral surgery and dental implant services for anyone in need. While we do not offer general dentistry services, we can help you get the care that you cannot get at your regular dentist’s office. In fact, your dentist has likely referred you to us and will continue to be involved in the care you receive here. If you need help with an extraction, bone grafting, or dental implants, we are here for you. Our team offers a revolutionary dental implant system called Refresh Smile. This system will allow you to achieve the smile of your dreams in just one day! This All-on-4 dental implant placement method allows us to give you a full, beautiful, functional smile using just a small number of implants. If you are looking for a way to restore your entire smile quickly and effectively, our Refresh Smile procedure may be right for you. Worried about oral surgery being painful? Our well-trained staff can help you stay comfortable and relaxed throughout your treatment. We offer sedation via general anesthesia to prevent discomfort. We also offer various comfort amenities, such as televisions in the operatories, refreshments, and a warm, welcoming office atmosphere. We work hard to help you feel at home. 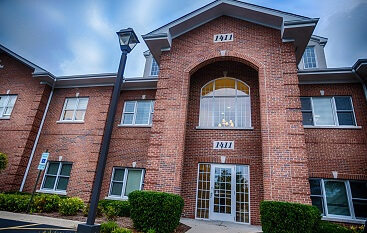 We are dedicated to helping our patients have a positive oral surgery experience here at our Buffalo Grove, IL office. We use our professional expertise to ensure that you get the results you deserve. 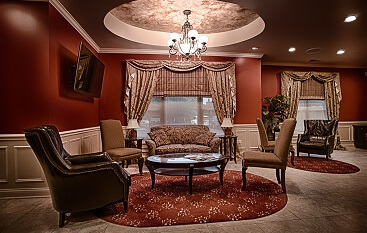 We also use our experience caring for patients to ensure that you are comfortable, relaxed, and at ease. Our patients are important to us – when you choose Dr. Frank and the team at North Shore Oral & Maxillofacial Surgery, you are in good hands. Dr. Frank will be happy to use his nearly 30 years of professional experience to help meet your oral surgery needs. If you are ready to schedule an appointment, please contact our office directly. You can reach us by calling 847-613-4933. You can also send us a message using our online contact form. Either way, our expert team would be delighted to help you get the care you need.